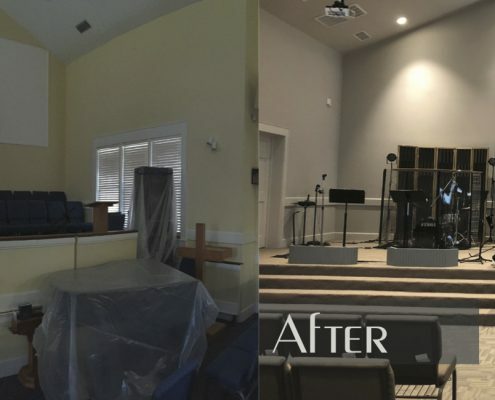 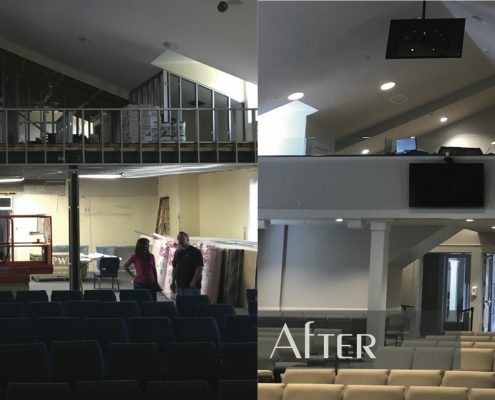 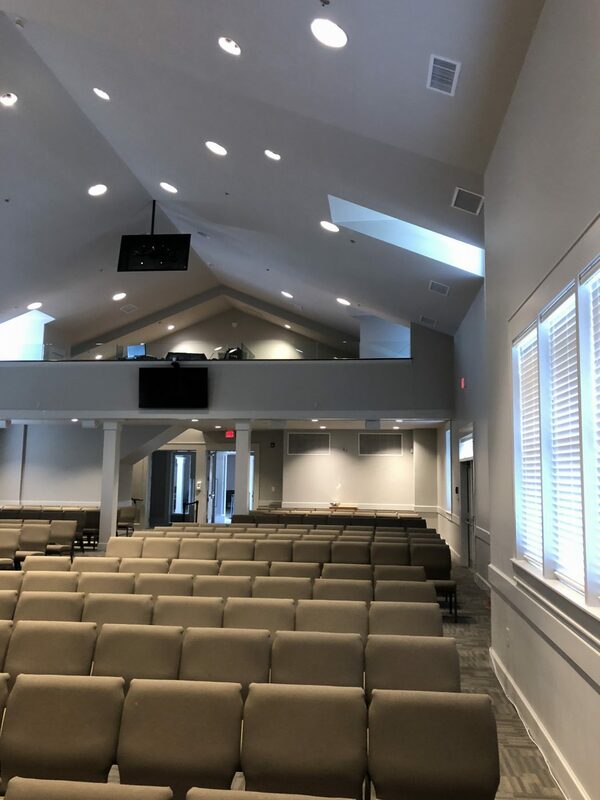 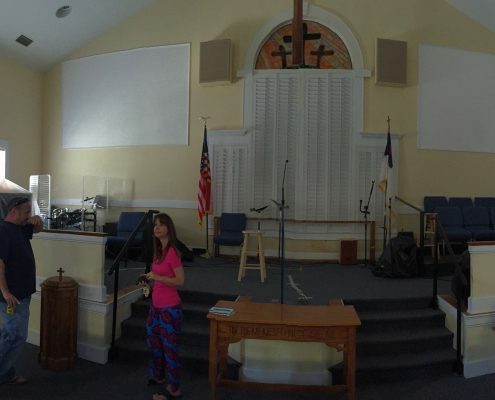 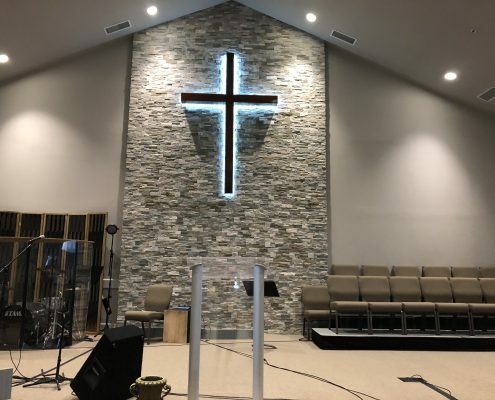 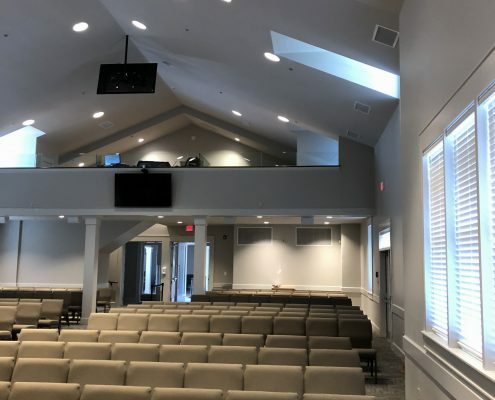 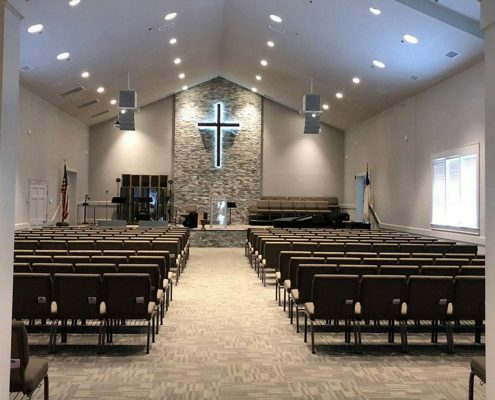 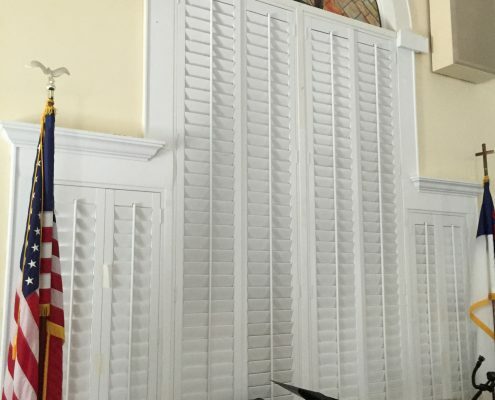 KBDG was contacted regarding a redesign for an addition to the sanctuary. 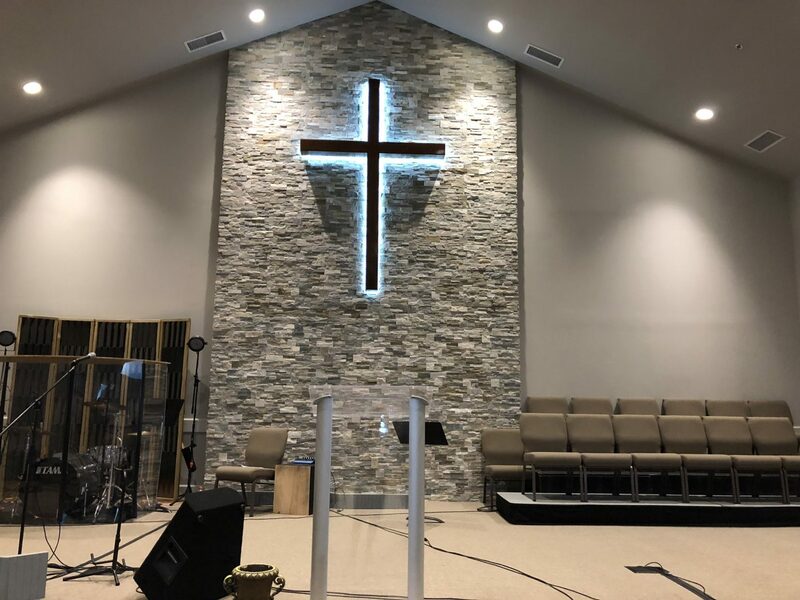 Our approach was an understanding of the religious significance of subtle colors as well as transitions between the circulation and worship flexibility. 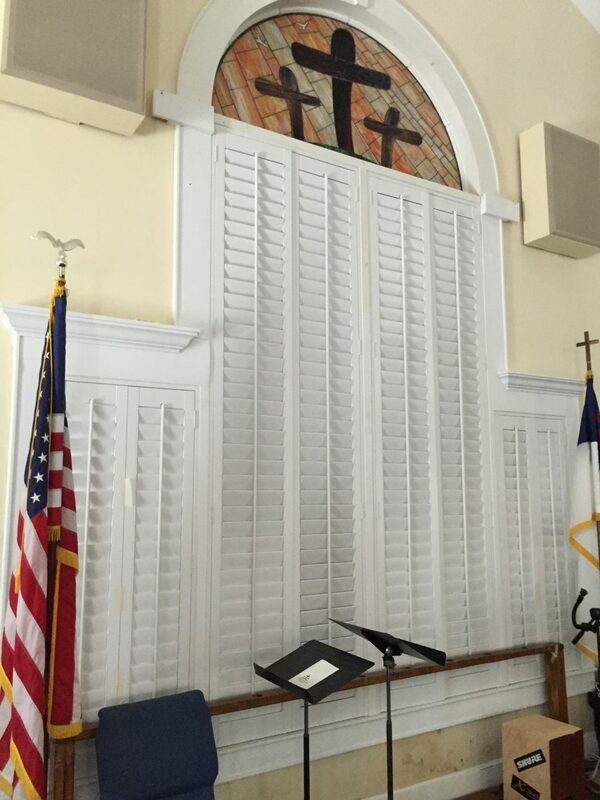 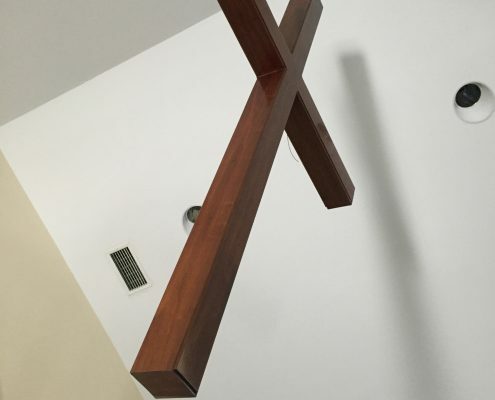 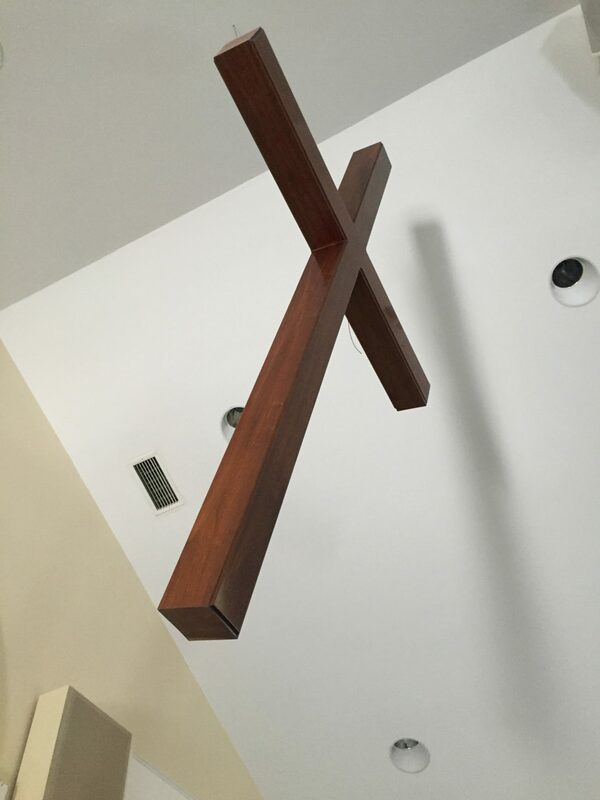 We relocated the existing wood cross for better visibility against a stone backdrop. 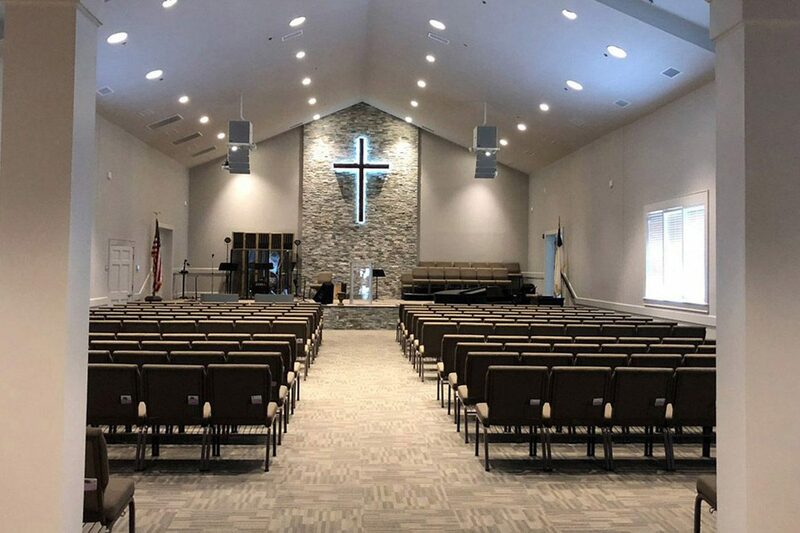 Monochromatic textures of carpeting and new seating complement the soft color palette and welcome guests into this place of worship.